Keeping up with the proposed legislation for healthcare can be difficult! With changes happening so quickly, it can be hard to understand the implications of healthcare policies for you and your family. For example, we are currently tracking the American Healthcare Act, or the AHCA (H.R. 1628), which is sitting in the U.S. Senate. Check congress.gov to see the bill’s current position in the legislature. We also recommend finding trusted resources that will break down the more complicated aspects of the bill. Kaiser Family Foundation and Kaiser Health News: Focuses on policy analysis, polling, journalism, and health communication. The Kaiser Family Foundation does more long-form analysis. They also run Kaiser Health News. You can subscribe to weekly or daily briefing emails from Kaiser Health News if you like. Sign up here. Georgetown Center for Children and Families: Reports on children’s healthcare coverage through articles, fact sheets, and blogs. Health Affairs Blog: Regularly updated blog posts about a wide variety of healthcare issues. Social media is a great way to stay on top of the news if you don’t have time to sit down and watch the news or read an article. Just be careful of your sources! We recommend using Politifact (http://www.politifact.com/) or FactCheck (http://www.factcheck.org/) to check what politicians are saying. Last, but not least, you can and should follow us @CoverageCounts! Have We Helped You? Help Us Back! Refer a friend who doesn't have health care to us for help. Send us a note (this might be a blog, but we do like mail that comes via USPS! ): Washtenaw Health Plan, 555 Towner, PO Box 0915, Ypsilanti, MI 48197-0915. Thank you! 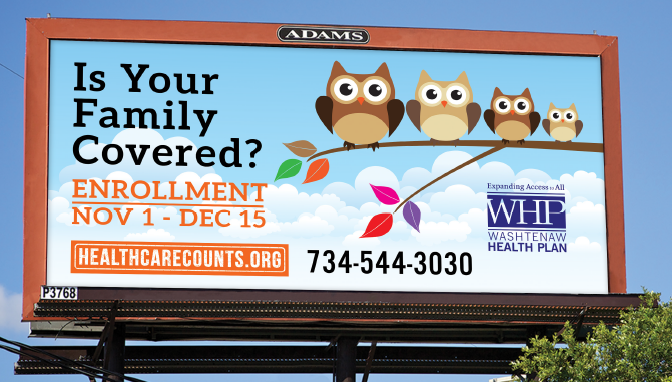 You will receive an email to confirm your subscription to the healthcarecounts.org blog. When a new blog posts, you will receive an email. Contact for website or technical questions.